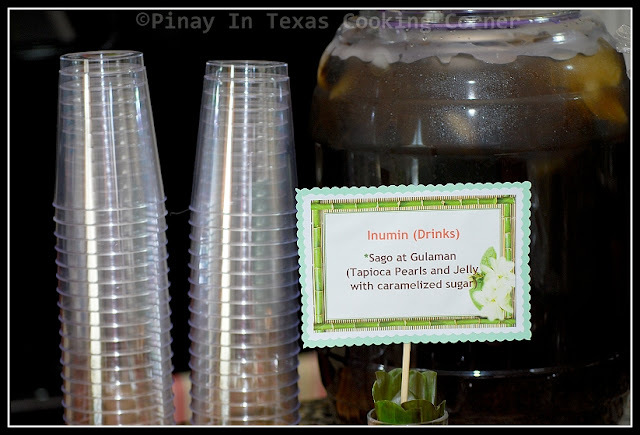 Sago't Gulaman is a very popular refreshment in the Philippines. 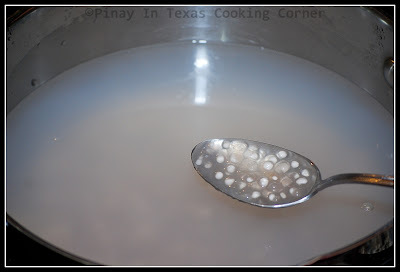 It is basically sago (tapioca pearls) and gulaman (jelly) in caramelized sugar with lots of ice. 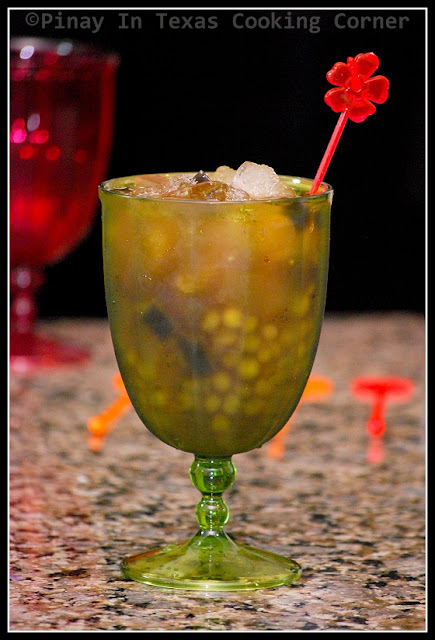 In restaurants, it is served in a tall, footed glass...and in the street stalls, it is ladled into plastic cups or plastic bags with straw. It can be an after-meal beverage-dessert, a snack or simply a drink. 1. Boil about 8 cups of water in a saucepan. 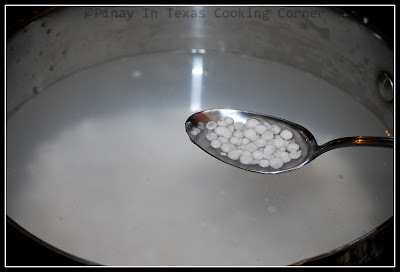 Add 12 oz sago pearls and bring to boil. 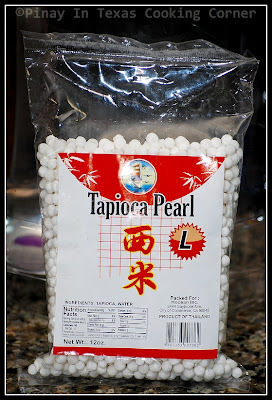 This is how tapioca pearls look like before boiling. 2. Once it boils, cover saucepan and turn off heat. Leave for 20 minutes. 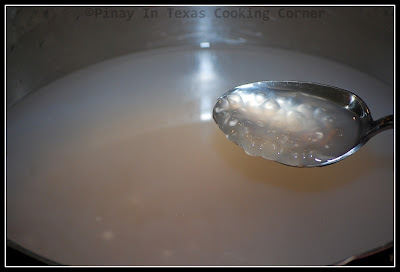 This is how the sago should look like after 20 minutes. 3. Remove the lid, stir the mixture, turn on the heat and bring it to boil again. 4. Once it boils the second time, cover again, turn off the heat and leave covered for 10 minutes. The sago should be cooked after that. 5. 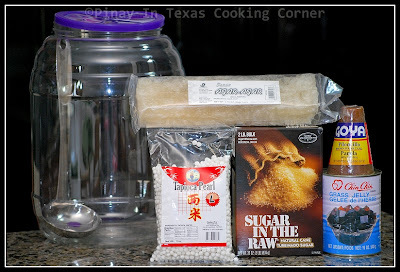 Drain the sago from the hot water and rinse. Soak in cold water. When completely cool drain again and set aside. *This results in a soft but still chewy texture and not mushy at all. 1. 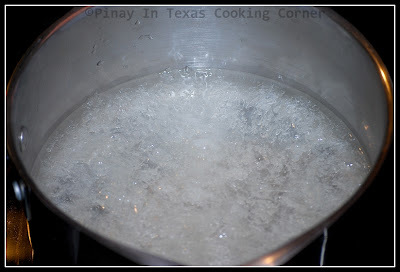 Flake the gulaman bar into a saucepan with 3 cups of water. Add half a cup of sugar. 2. 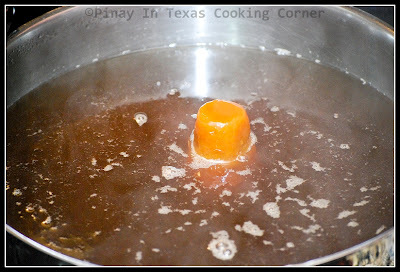 Bring to a boil, stirring constantly until the sugar melts and the liquid reaches boiling point. 3. Remove from heat. Keep stirring for a minute, then transfer to rectangular molds. Allow to cool down. 4. Refrigerate and allow the gulaman to set. Once set, slice into cubes. Set aside. 1. In a large saucepan over medium heat, bring 12 cups of water to a boil. 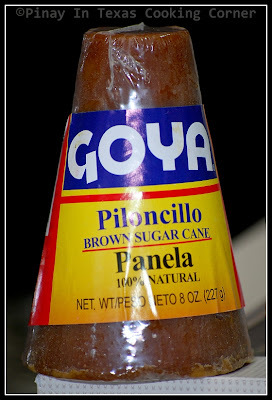 Add the brown sugar and Piloncillo, and stir continuously until both sugar and Piloncillo are dissolved. Remove from heat and cool completely. 2. For the kamayan dinner, I combined the syrup, sago and gulaman in this plastic jar. (You can use lemonade jar or large pitcher if you want.) Put lots of shaved ice in it, and laddle in cups or glass to serve. 1. 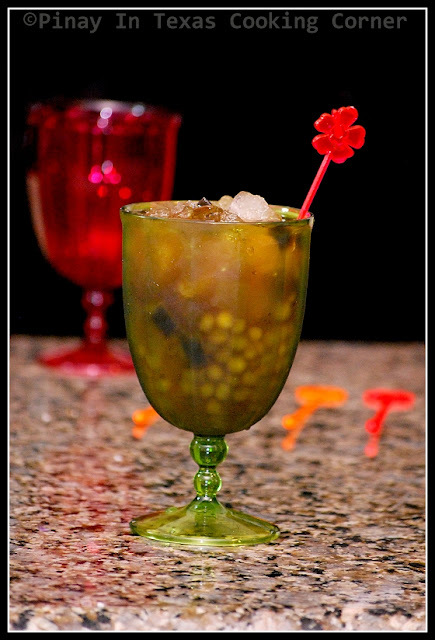 Put some sago and gulaman in a glass. 2. Add enough syrup to sweeten. 3. Fill with shaved ice. Add some more syrup or water to suit your taste. *Some add banana essence or vanilla in their Sago't Gulaman, I don't. I'm contented with the plain and simple flavor of caramelized sugar in a raw and the piloncillo. But feel free to add any flavorings that you think will suit your taste. 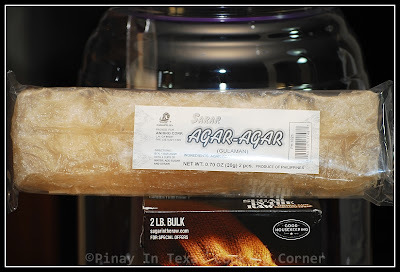 where can you buy agar-agar here in the US?